La Geria is located in the southwest of the island, in the municipality of Yaiza. 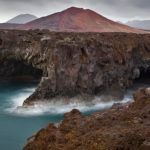 The Parque Nacional de Timanfaya runs along the eastern border. 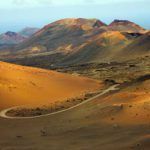 The binding of these two important stretches of land forms one of the most impressive landscape pictures of the Canary Islands. This land is a natural reserve and covers an area of approximately 5255.5 acres. 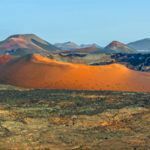 It has a unique landscape and is exhilarating to witness due to its vast expanse of volcanic ash from the eruption of Timanfaya during 1730-1736; the whole scenery is bathed in its remains. Surprisingly this area of land cultivates vines by simply digging a pit into the volcanic ash and then to cleverly create a small semi -circular stone wall around it to help protect it from the wind. In fact this is the largest vine growing area in Lanzarote. 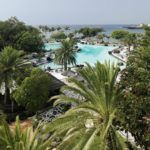 In land so dry that benefits from the contrasting temperatures ensures year after year the production of the best grapes resulting in the best Malvasia wine in Lanzarote. Its method production cannot be faulted. With a barren look, La Geria without its traditional wines can be misunderstood; it is a synonym for wine. The wineries are surrounded by natural valleys; the most significant are Bodegas La Geria and Bodegas Stratvs. Interesting cultural tour routes are at your availability giving you an inside of the production process of this delicious wine. 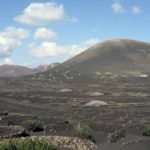 Don’t forget that Timanfaya is just next door as are Salinas de Janubio, Los Hervideros and Charco de los Clicos, known as the landscaped triangle, a must see when visiting through this lovely area of Lanzarote. Normally it is possible to cover the whole visit by car or by bus however, depending on your length of stay we do recommend that you do have a walk around the installations. A fleeting glance while on a trip is nothing compared to the possibility of stopping for a few minutes to admire the splendid and unique region or if not in such a rush to go on one of the two hiking routes; La Asomada to La Geria and the La Geria route. Alternatively you could enjoy a wine journey passing through the scattered wineries in La Geria. We would suggest that you begin your journey from the south and head north requiring you to pass through the charming village of Uga. A few miles away you will stumble across Bodegas La Geria. This building maintains its traditional architecture characteristics and its domains give a complete panoramic view of its impressive scenery. The winery is open to the public and allows you to sample some of their seasonal wines. 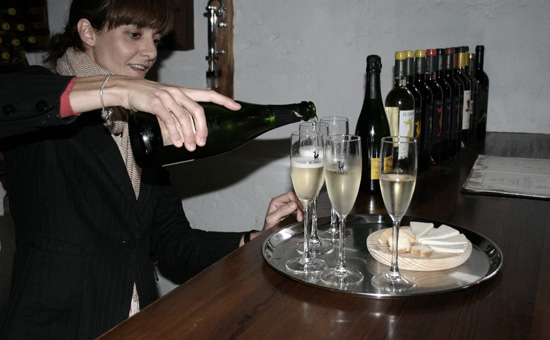 In our opinion we would recommend the dry malvasia wine or the muscatel liquor, they are both excellent choices. Take in the immensity of the nature that surrounds you whilst tasting some wines while visiting La Geria. Very close to the winery, always when travelling from south northwards, you will find a wine and tapas restaurant called El Chupadero. 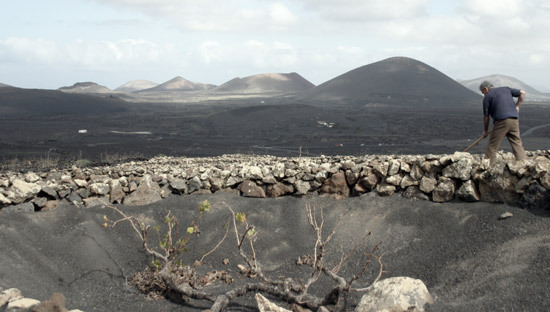 It´s pretty terrace provides another perspective of the county side together with the horizon to Timanfaya. It is simply picturesque and one not to be missed. A little less than a mile north and you will reach Bodegas Stratvs. A majestic building that has just been opened as a winery. It is a modern facility that has been equipped with the latest technology. It is worthwhile, as indicated earlier on, to make the most of the organised guided tours. It also includes a great store of delicacies and an elegant tasting room. Despite the wines youth they are well made here in Stratvs. 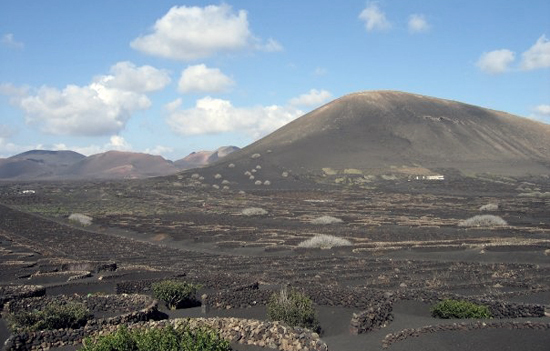 This winery overlooks La Geria as well as the red mountains of Timanfaya. When continuing this wine route, on the northern boundary of this natural area and about 10 minutes away by car from Stratvs, you will find the most historic winery on the island, El Grifo. To reach it you will need to go through the beautiful village of Masdache, another village that is smothered in what are the remains of volcanic ash. 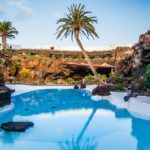 These historic wine cellars where built on the volcanic lava during 1775. The building is pure traditional architecture of Lanzarote. Its premises hosting an ethnographic museum , which sets out a journey through the different tools and machinery that have been used in the course of many centuries, in the production of wine. The home includes a cozy tasting corner. We encourage you to put finishing touch to the visit to a ruddy Geria achampanado. Right in the geographic center of the island, El Grifo is a few kilometers from Monumento al Campesino, one of the best establishments to savor traditional culinary distes.